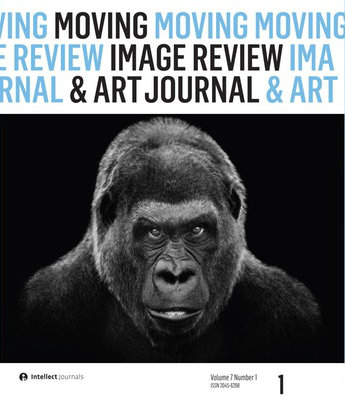 The Moving Image Review & Art Journal (MIRAJ) is the first international peer-reviewed scholarly publication devoted to artists’ film and video, and its contexts. The Moving Image Review & Art Journal (MIRAJ) is the first international peer-reviewed scholarly publication devoted to artists’ film and video, and its contexts. It offers a forum for debates surrounding all forms of artists’ moving image and media artworks: films, video installations, expanded cinema, video performance, experimental documentaries, animations, and other screen-based works made by artists. MIRAJ aims to consolidate artists’ moving image as a distinct area of study that bridges a number of disciplines, not limited to, but including art, film, and media.